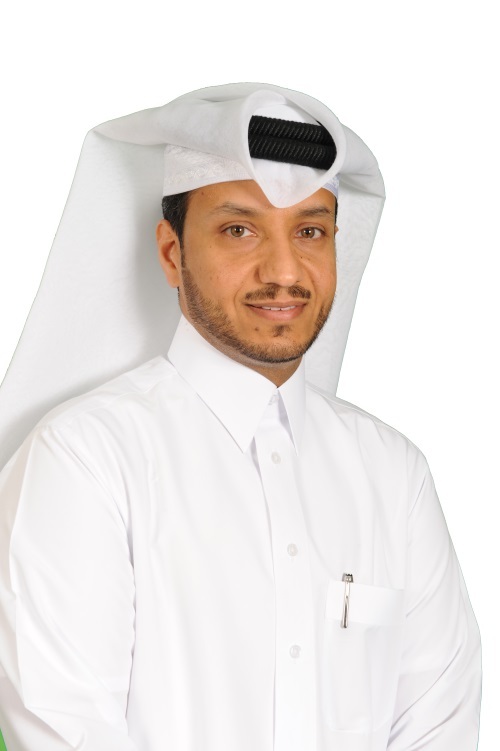 Nakilat announced its financial results for the first half of the year ended 30 June 2018, with the company achieving a net profit of QR 445 million compared to QR 409 million during the same period in 2017, an increase of 9%. 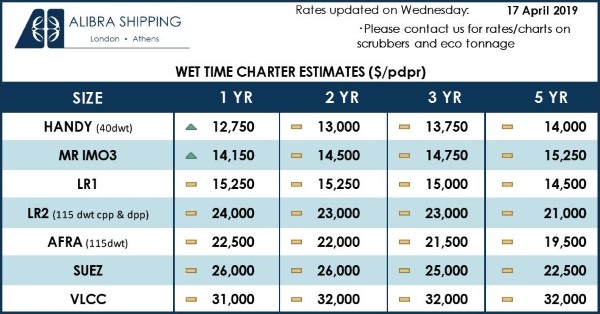 During the past year, there have been many positive developments across the company, despite the challenging market conditions in the maritime sector. 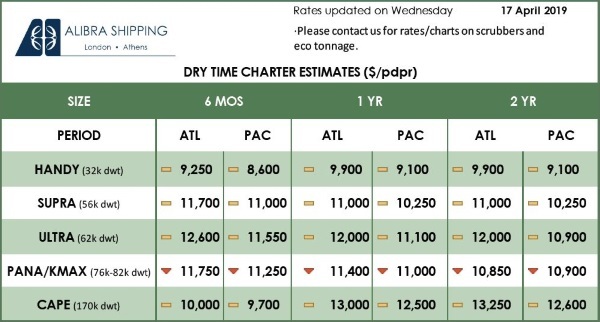 Nakilat continued to pursue its long-term strategic goals through the expansion of its fleet with two additional LNG carriers earlier this year and more recently, acquired a major stake in its first floating storage regasification unit (FSRU). This significant milestone is in line with the company’s plan to diversify and grow its business portfolio, with the aim to widen its international outreach and secure its industry-leading position in the dynamic and competitive LNG market. In addition, it opens a new horizon and business avenue for Nakilat to sustain its long-term growth and development strategies, which in turn will further maximize value and returns for our shareholders. 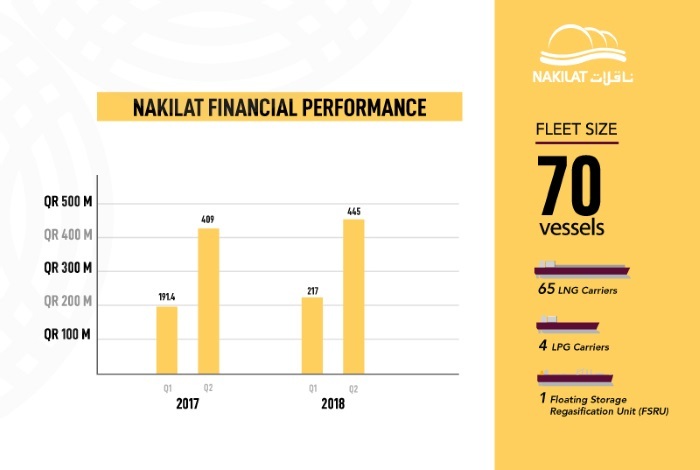 The financial results for the first half of this year is a reflection of the company’s secured long-term agreements with financially strong charterers, which has enabled Nakilat to maintain a steady cashflow and generate positive value for its shareholders. The company’s innovative cost optimization strategy and initiatives, as well as periodic repayment of loan principals, have resulted in reduced financing costs and enhanced efficiencies across its operations.